including Ethiopia, Guatemala and Brazil. 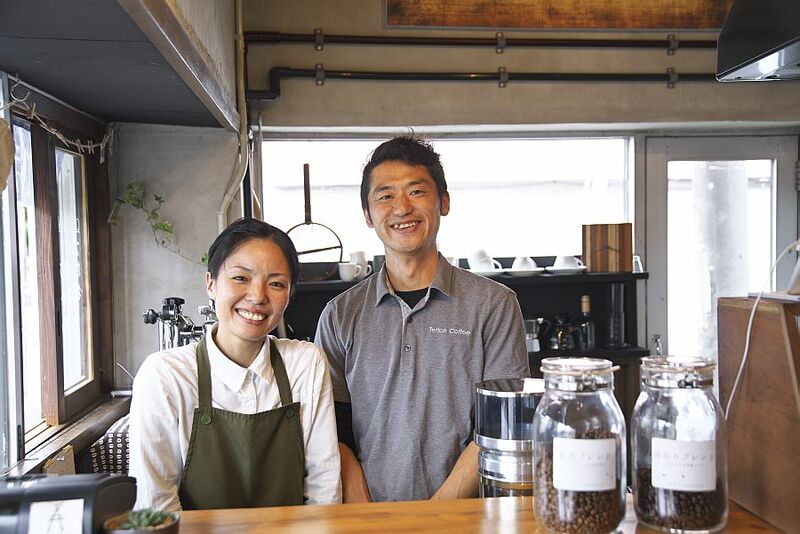 It is run by the Ishikawa couple, husband Satoshi and wife Akino. 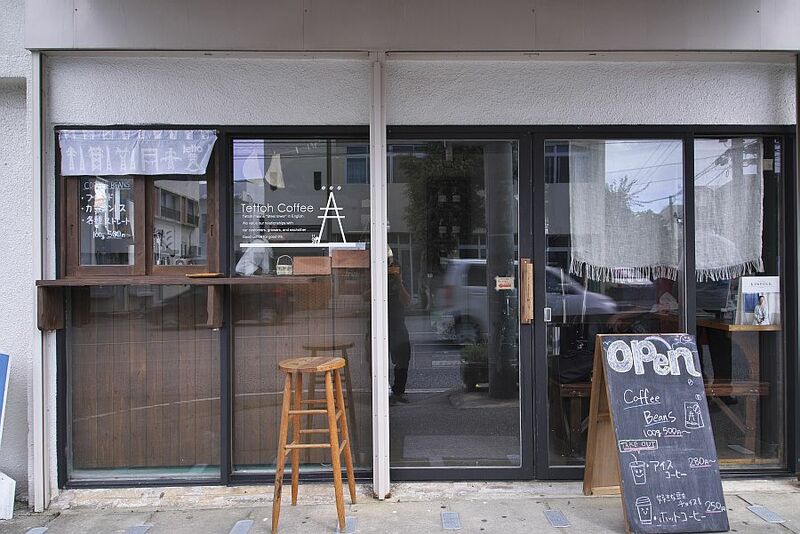 When Satoshi was 25, he met a cup of coffee in Okinawa that he could not forget. so much more than the usual sour and bitter, lasted in his month for over half a day. So shocked by the sheer quality, he was determined to make better coffee than that by becoming a Barista. Akino. That is the beginning of Tettoh Coffee. but it simply isn’t sustainable when you have to travel that far while making good coffee. where anyone can drop by without feeling comfortable. 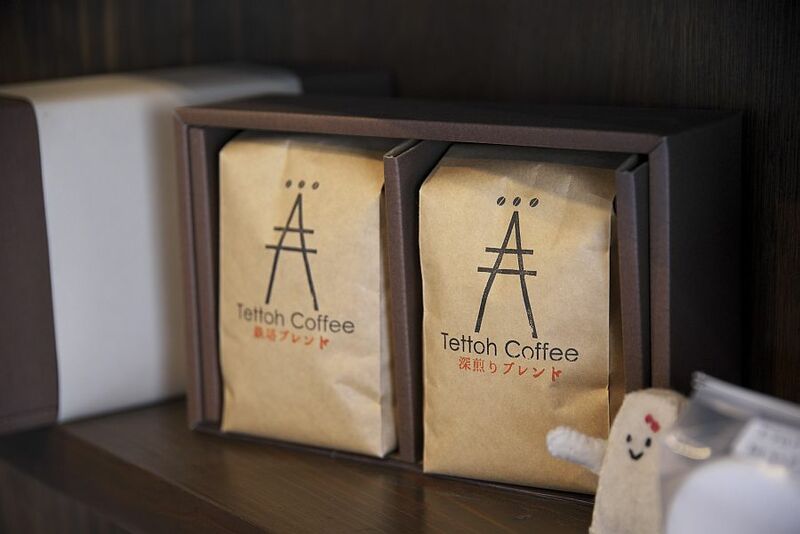 it suddenly inspired him as the logo of Tettoh Coffee. The three coffee beans above the logo, by the way, is Akino’s idea. Looking around the cafe, one would probably leave his eyes on a large coffee roasting machine. the volume of dropping water can also be adjusted, making this the complete D.I.Y. machine. 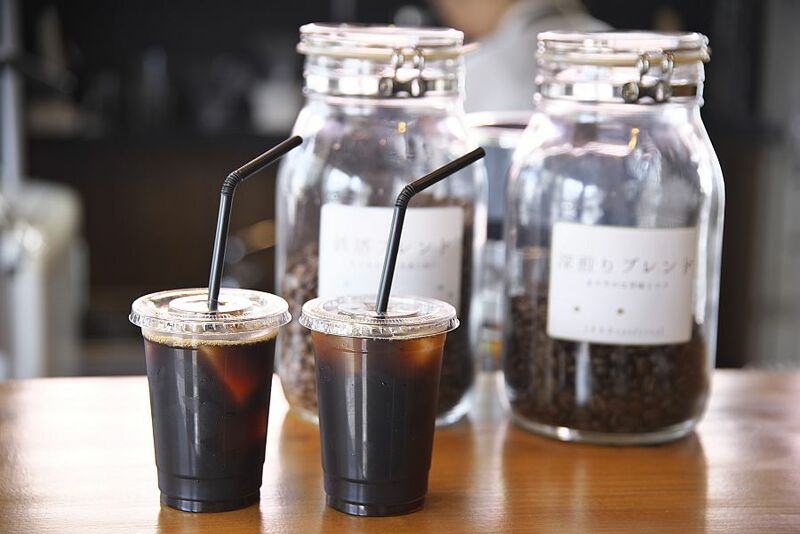 different types of water and filter etc, to finish this original cold-brew coffee machine. 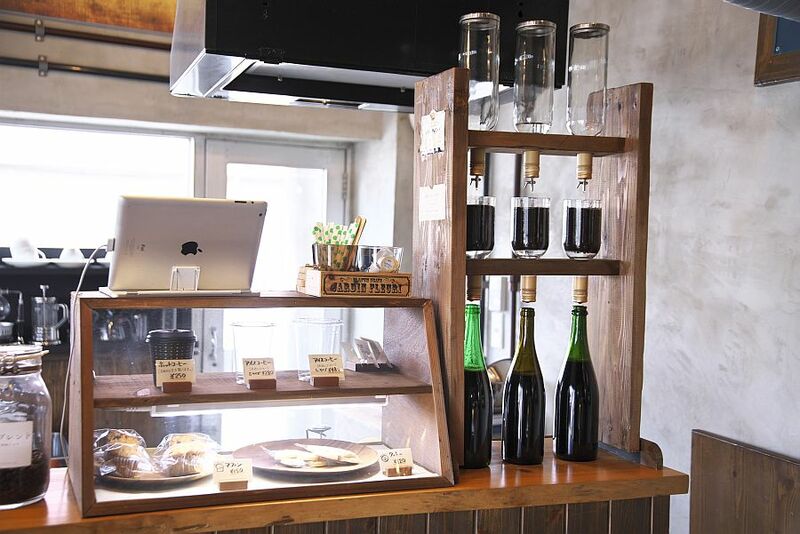 is put in a fridge in vacuum style for one whole day, in order to maintain the smooth taste. it still isn’t good enough compared with the Okianwa sunlight and the impact of the scenery. you can feel Okinawa melted right into your throat. The coffee is with a strong flavour. 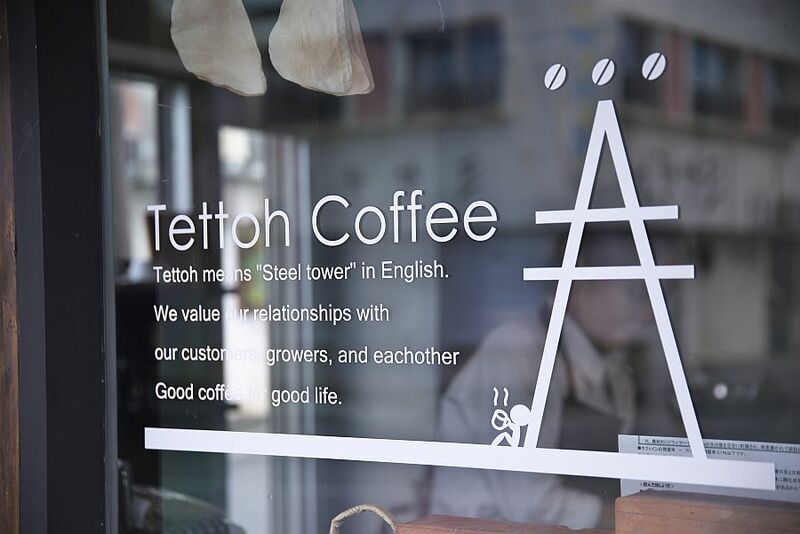 Tettoh Coffee serves only the coffee beans with a character that can be explained clearly and have a good balance of sweet and bitter flavour. 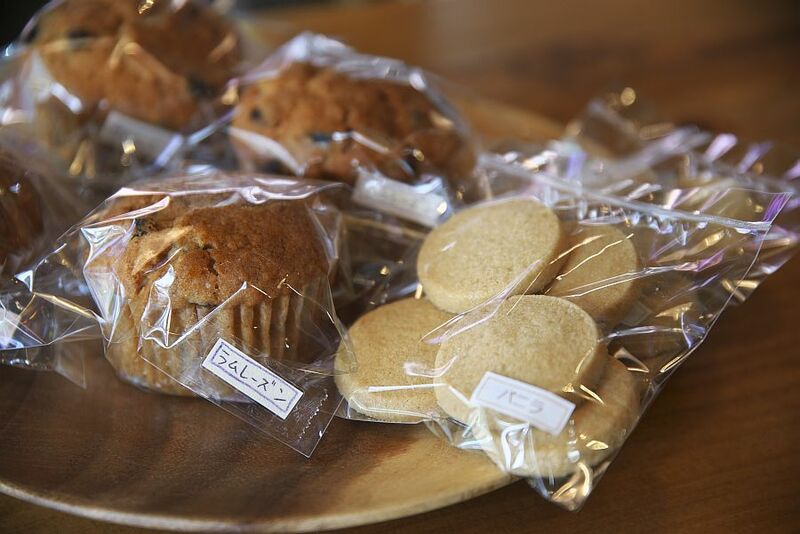 The beans are complemented with Japanese sweets handmade by Akino. Eat-in is also available. Tettoh Coffee provides delivery too. “The scenary here is so beautiful that I actually enjoy it a lot riding around the city. ” said Satoshi, who probably rode more than 80km in total for delivery. I would deliver it to anywhere.” smiles the man. 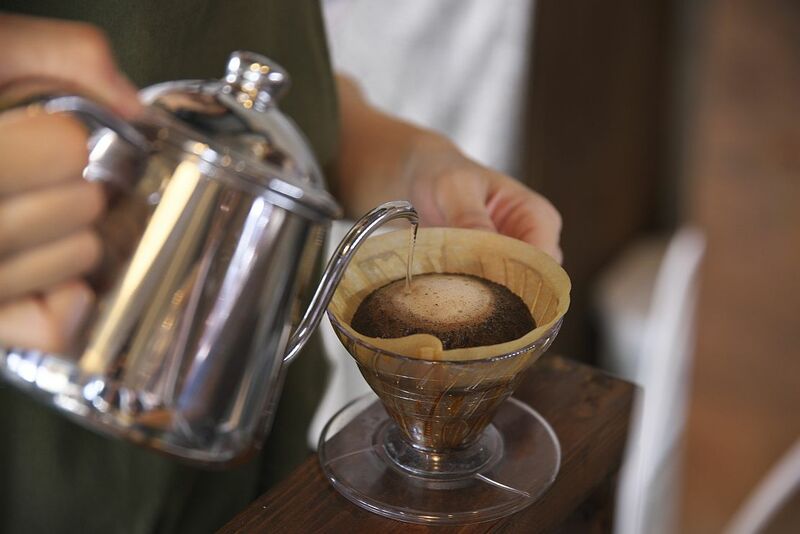 with new brewing methods providing different flavours, fresh possibility and diversity. they want to understand the poverty and environmental pollution faced by the coffee bean producers. 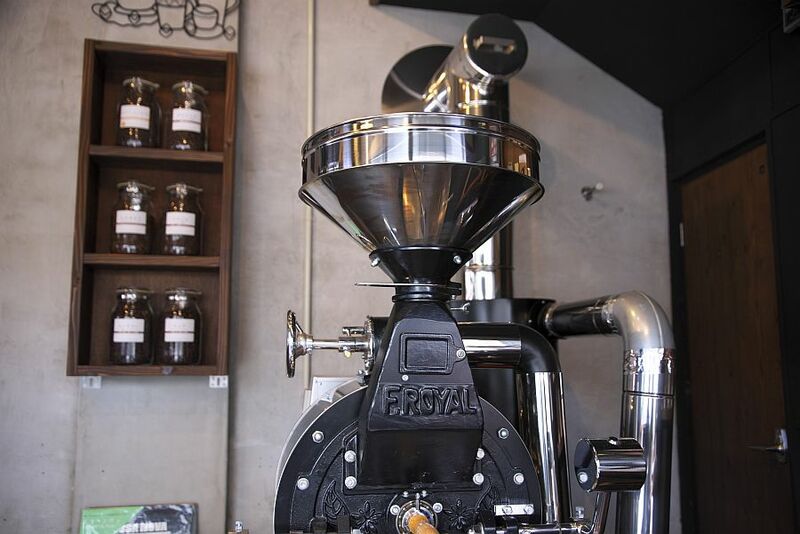 “We would like to make direct business with the place of origin of the coffee beans. We want to make it happen!” says Satoshi, who kept this dream from everyone else. He cycles around Uruma City again today, going for this dream of his.